A pioneer in space exploration testing, inspection, and certification. The gold standard for advanced aviation testing. Trusted by the U.S. Military and top defense contractors. A global network of labs is shaping the future of telecom. Driving automotive innovation to market. Powering the modern world with clean energy testing services. Be it testing, inspections, certifications or supply chain solutions, the experienced engineers and specialized technicians at NTS stand ready to make your project a success. 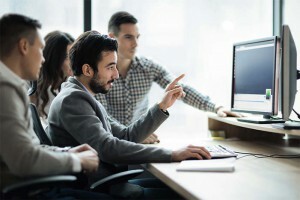 For over half a century, the most innovative companies in the most performance-critical industries have trusted our diverse capabilities to ensure their products are developed and perfected in compliance, on time and on budget. Discover how our global resources and the largest national network of fully accredited laboratories in North America can help you deliver stronger, safer, more reliable products to market quickly and efficiently. More than a half-century of expertise and a far-reaching network of testing facilities allows us to ensure the reliability of your products. Manufacturers worldwide rely on end-to-end product lifecycle support via our inspection and supply chain solutions. NTS offers conformity assessment and certifications for an array of standards and requirements across a broad spectrum of industries and product types. 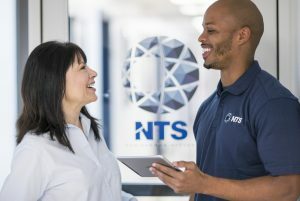 NTS owns and operates a large network of test, inspection and certification laboratories across North America and around the world. Whether you are looking for environmental or dynamics simulation testing, EMC testing or various other services, we operate first class facilities from coast to coast and beyond. Additionally, our LabInsight customer portal brings the full capabilities of our entire network of laboratories right to your desktop. Initiating an NTS price quote is easy with some basic information about your project or needs. You can expedite your quote if you have detailed technical information.